Zen Master So Sahn (1520–1604) is a towering figure in the history of Korean Zen. In this treasure-text, he presents in simple yet beautiful language the core principles and teachings of Zen. Each section opens with a quotation - drawn from classical scriptures, teachings, and anecdotes - followed by the author's commentary and verse. Originally written in Chinese, the text was translated into Korean in the mid-twentieth century by the celebrated Korean monk Boep Joeng. 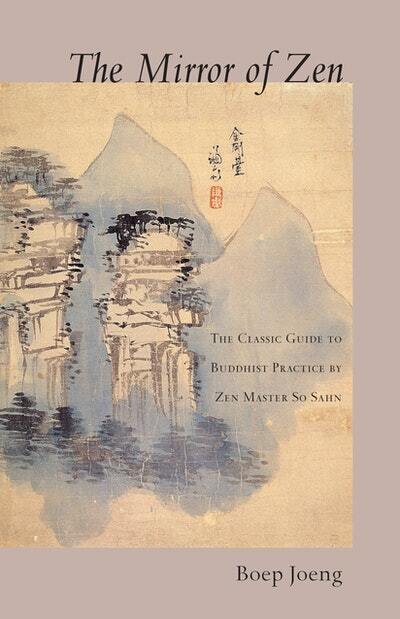 An American Zen monk, Hyon Gak, has translated it into English. Love The Mirror Of Zen? Subscribe to Read More to find out about similar books.